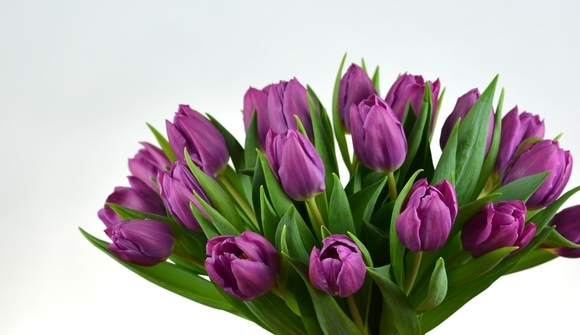 Seems like just the word tulip brings a smile to everyone’s face. 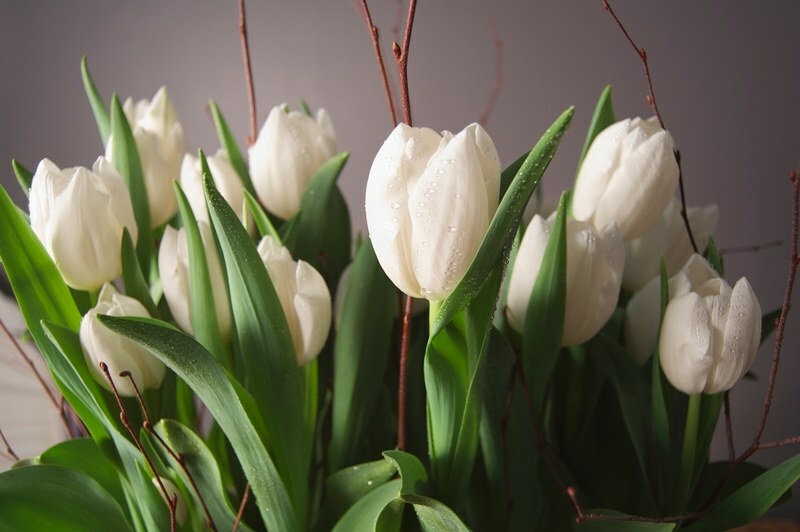 Not sure if it is because we begin to dream about spring in the cold winter months or because tulips are just so simple and pretty. 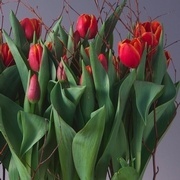 Tulips LOVE cold water! 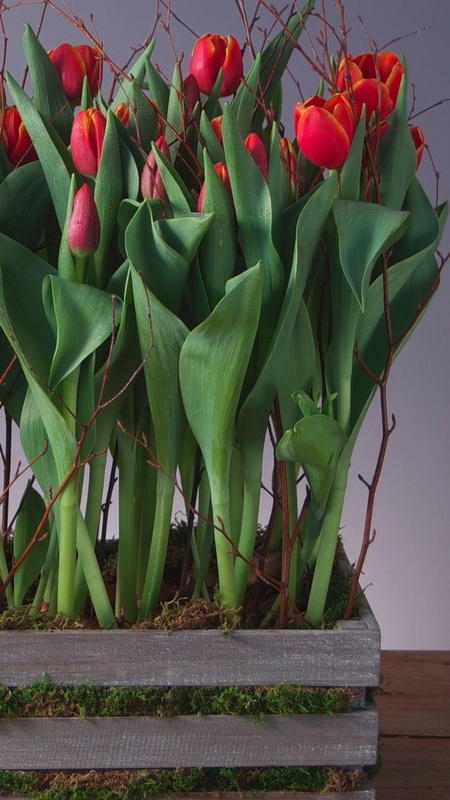 They like to be cut straight and will continue to grow in your vase so cutting them every two days helps to avoid the “floppy” look! They react to copper. Dropping a penny in your vase will get the tulips straighten out quickly. 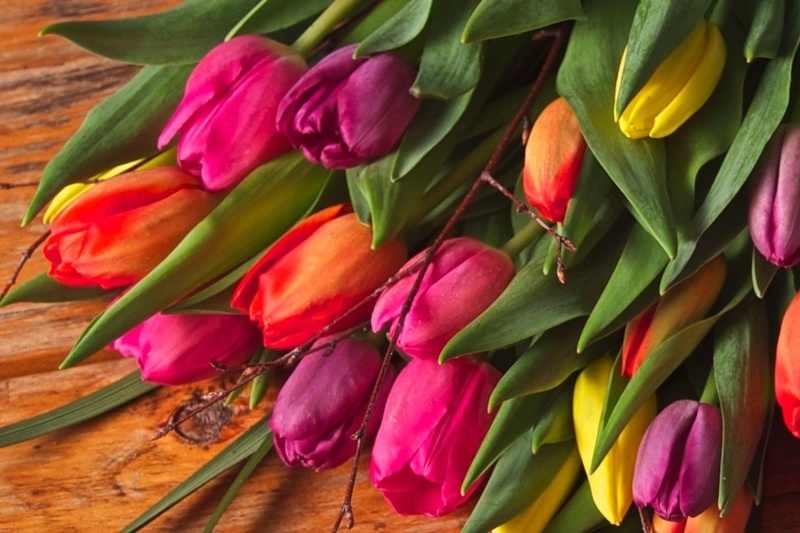 Tulips come in many varieties, varying in height, length, colors and texture…some may even have frilly petals! Ottawa is home to the Canadian Tulip Festival, which will be held the second week of May and will showcase almost 300 000 bulbs! 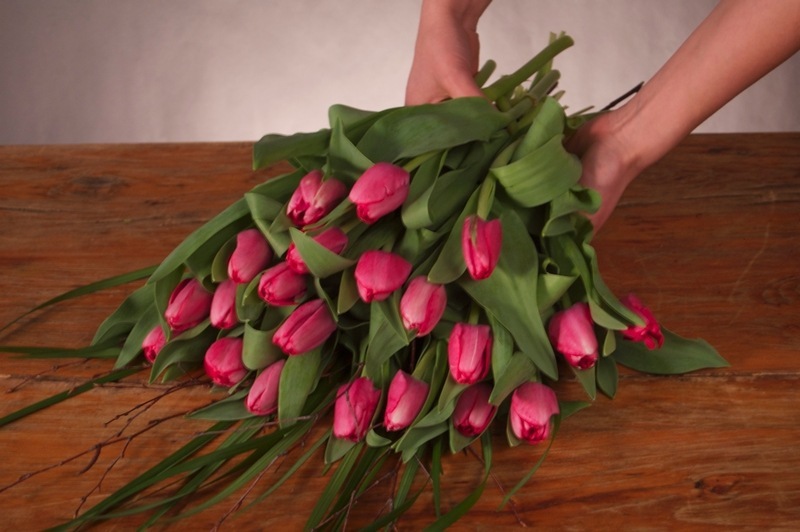 Tulips are an iconic Dutch flower, growing is massive fields of beauty every spring! 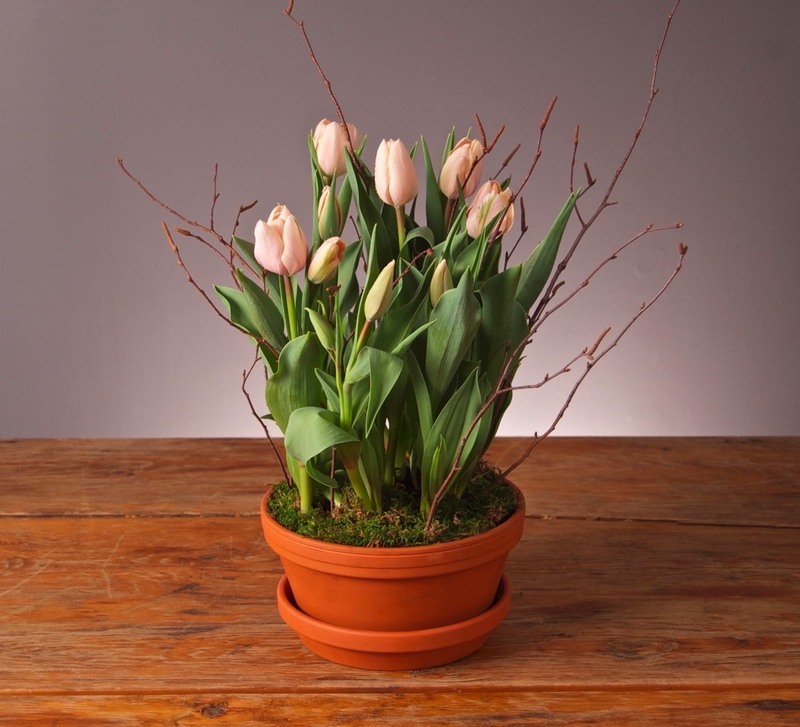 Come in to either of our stores to check out our weekly tulip specials or just to admire them.